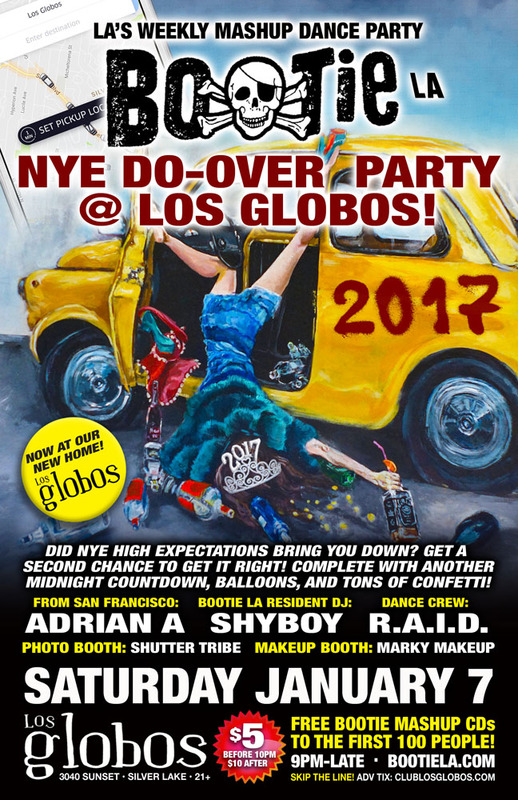 It’s Bootie LA’s NYE Do-Over Party at Los Globos, our new LA home, for a second chance to ring in the New Year right! No more ending up at the wrong party kissing the wrong person — we’re hitting the reset button on 2017 so you can ring in the New Year all over again! We’re even going to have another midnight countdown, balloons, and tons of confetti!